Ask an average first-grader about bats and they might cringe. Ask a first-grader in Katy Roberson’s class at West Fannin Elementary and you will walk away an expert. After reading the book, Stella Luna by Janell Cannon, Reid Summers shared with his classmates details about observing bats around his home. The class became instantly intrigued. 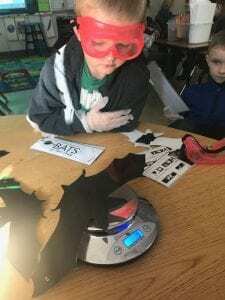 Ms. Roberson took this opportunity, and immediately sought out information, experts, and volunteers, to design a year-long STEM (Science Technology Engineering and Mathematics) unit centered around bats native to Fannin County. 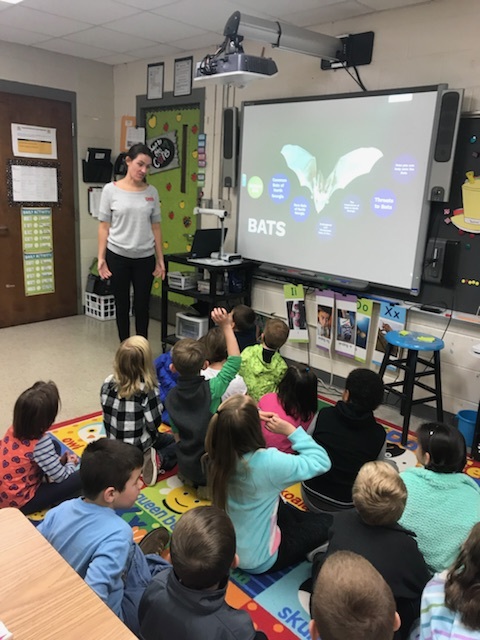 Students began their project by inviting a guest speaker, Georgia Master Naturalist Jocelyn Miller, to discuss the 16 species of Georgia bats, their habitats, and foraging behaviors. 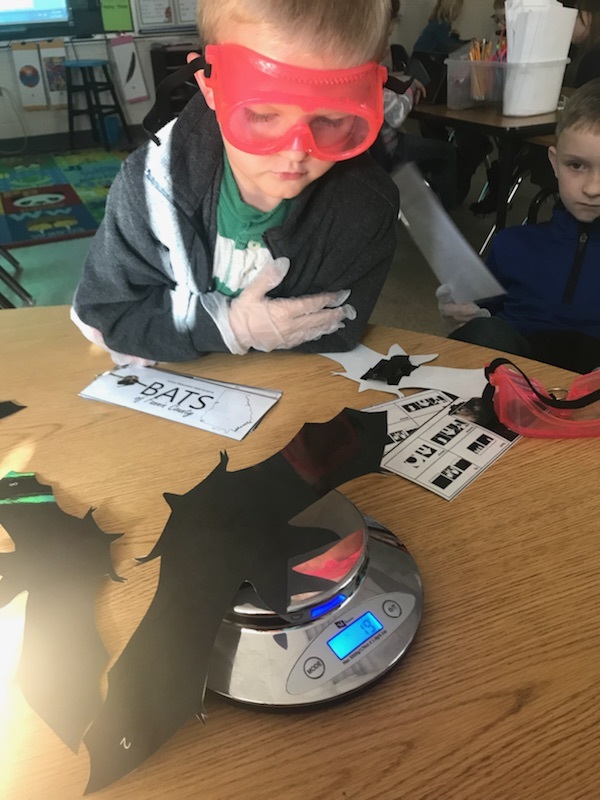 Students later conducted a mock research study where they measured and weighed different “bat species” then recorded data similar to how an actual biologist would monitor bat populations in the field. As the unit continued, students built upon their knowledge and did additional research in small groups where children produced a portfolio demonstrating what they learned. 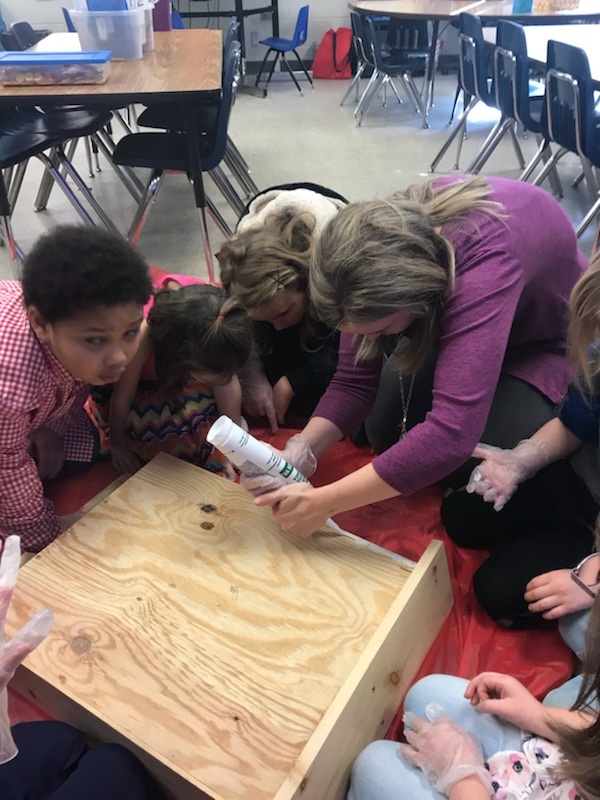 Along the way, students realized that bat habitat and conservation was a serious concern. significant and steady decline in their populations due largely to pesticide use, water quality, and white-nose syndrome. White-nose syndrome has killed between 5.7 to 6.7 million bats in the U.S. since the mid-1990s when the disease was first discovered. 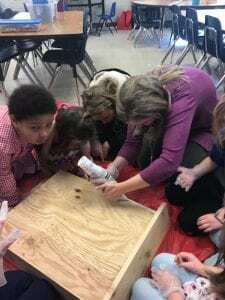 The students in Ms. Roberson’s class wanted to do something about it. Their solution was to erect a bat house on the campus of West Fannin. 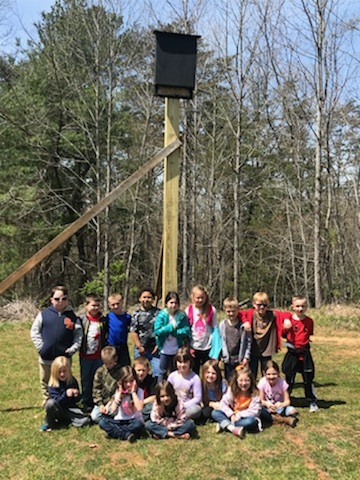 The long-term goal of this passionate group of first-graders is not only to improve the habitat for bats at West Fannin but also to encourage members of the community to follow suit. 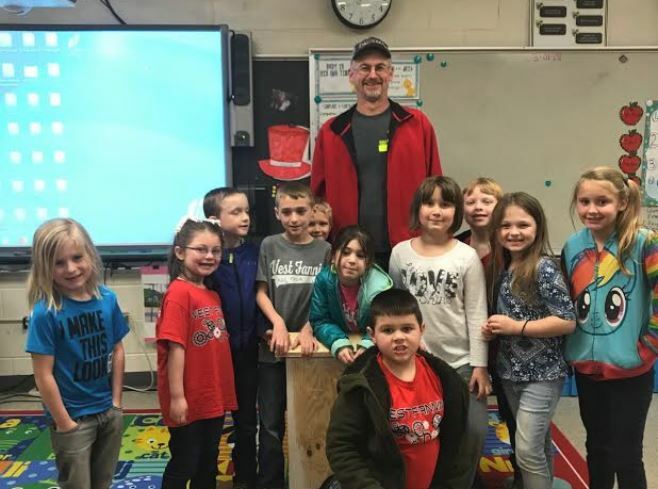 They are planning a bat garden with native plants that will attract nighttime insects and hope to cultivate and sell those plants to parents and members of the community. They are also working to acquire funds in order to install a camera in the bat house to allow streaming video of the bats’ daytime activities. First-grader Carson Callihan summed up the project perfectly: “We need to help the bats because a lot of them are dying and we need them to eat mosquitoes.” The complex relationship between ourselves and the local ecosystem is difficult to understand at any age, but these first-graders are already making a difference that will have a lasting impact on our community for years to come.